SC75M; 5 to 7 - SC²25 to SC²190 - Miniature Shock Absorbers - Automation Control - Products - ACE Controls Inc.
Soft damping, but enormous capacity: The SC²25 to SC²190 series of soft contact absorbers ranges from an M10 to M14 thread size and covers effective weight ranges of 2.2 to 3,400 lbs (1 kg to 1,550 kg). All models are characterized by high energy absorption and unite piston tube technology with the diaphragm seal perfected by ACE. 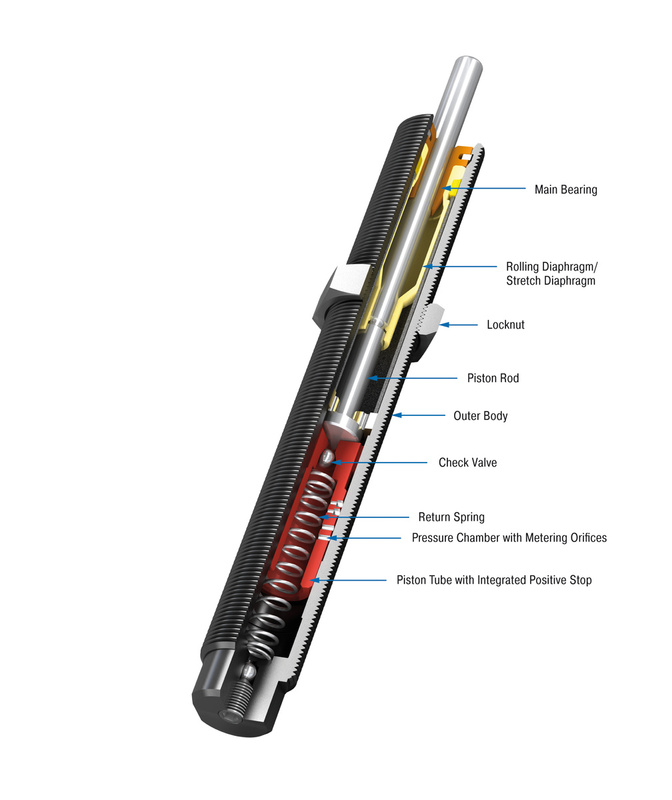 This enables direct installation for end position damping in pneumatic cylinders at 72 to 102 psi (5 to 7 bar) or applications where deceleration needs to take place close to the pivot point. They are maintenance-free, have an integrated positive stop and are mountable in any position. The addition of a side load adapter allows for impact angles of up to 25°. 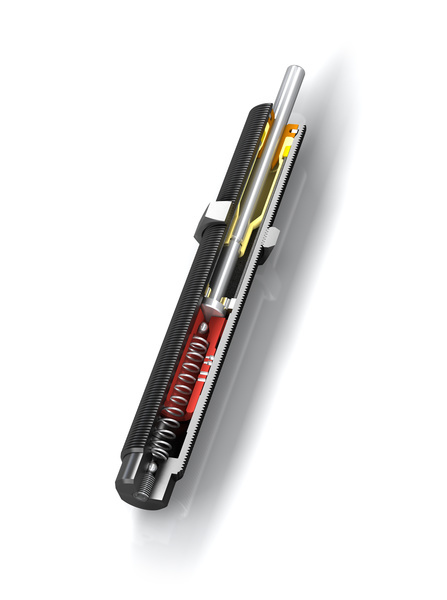 These dampers offer soft contact deceleration where initial impact reaction forces are very low, with the advantages of self-compensation to react to changing energy conditions, without adjustment. External materials in the surrounding area can attack the rolling and stretch seals and lead to a shorter service life. Please contact ACE for appropriate solution suggestions.